Ambulance service provider Docklands Medical Services has gone bust. A scribbled notice in the window of a closed ambulance station blames “issues with Coperforma”, the main contractor for the Sussex Patient Transport Service (PTS). The service provides non-emergency ambulances to take, for example, kidney patients for dialysis and cancer patients to and from chemo and radiotherapy appointments at hospital. 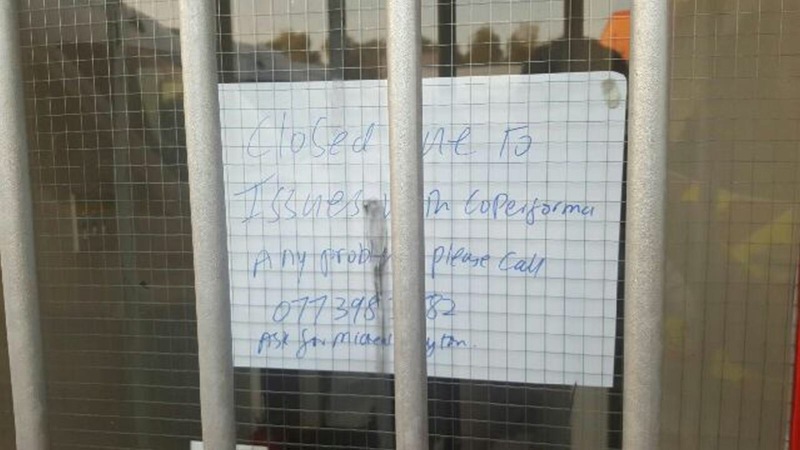 Any problems, the handwritten notice said, contact Michael Clayton, the Coperforma chief executive. The notice gives a mobile phone number which appears to be Mr Clayton’s. Docklands is the second sub-contractor to collapse since the start of the contract in April. Its predecessor VM Langfords also went bust. Docklands was one of four suppliers complaining about money owed by Coperforma. In a letter to health chiefs, the outstanding sum was said to be £1.2 million. It has affected the sub-contractors’ ability to pay bills and staff. Back pay of thousands of pounds is outstanding. as are wages for August. A protest is taking place at 11.30am this morning (Wednesday 14 September) outside the GP (general practice) surgery where one of the health chiefs – Xavier Nalletamby – practises. Dr Nalletamby chairs the Brighton and Hove Clinical Commissioning Group (CCG), one of seven Sussex GP-led CCGs to award the Patient Transport Service contract to Coperforma. The lead CCG in the process was High Weald Leees Havens, run by Wendy Carberry. The GMB union is making hardship payments to ambulance staff who are missing wages. They are heading over money today (Wednesday 14 September) at the TUC annual congress at the Brighton Centre after the protest. The union had said that it would. apply to a court for a winding up order against Docklands and Coperforma over the outstanding sums after a strike threat and talks failed to secure the staff’s pay. Coperforma took over the non-emergency ambulance contract, which serves patients in Brighton and Hove, at the start of April. It has been plagued by operational and financial problems. Campaigners have questioned whether the death of a patient in Brighton was caused in part by the firm’s failings. The work was previously carried out by an NHS ambulance service, the South East Coast Ambulance Service (Secamb). It gave notice to end its role after the CCGs redrew the service specification. A Secamb insider said that, despite its reservations, health chiefs at the CCGs pushed ahead with the new-look service that is now once again on the verge of collapse. 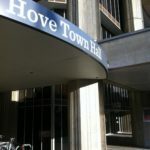 Councillor Daniel Yates, who chairs the Brighton and Hove City Council Health and Wellbeing Board, has written to health chiefs urging them to have contingency plans ready because of the risk of failure at the new service which he called “a total shambles”. Nalletamby should resign. What a scandal this is. But since most people are not using patient transport there is little public interest in this demonstration of incompetence and possibly WORSE. So Coperforma feel untouchable no doubt as a consequence. But maybe the media attention will eventually wake people up.